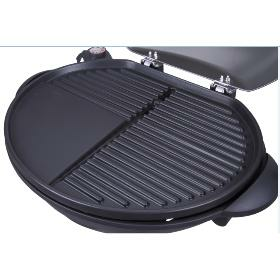 * Detachable aluminum die-cast grill plate with high temperature non-stick coating. * Adjustable temperature with 5-settings. * Side table for serving drinks, condiment etc. * Entertain cooking with2.9mrubber power cord. * Single stand tube for item. Simple & Nice! 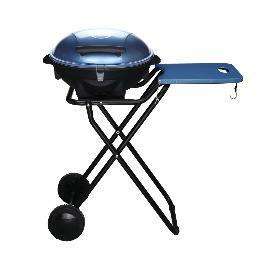 * The grill can be used on its stand or off the stand (tabletop use). 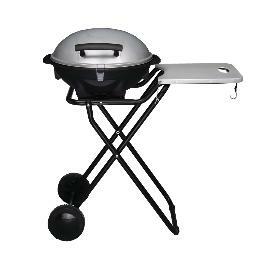 * Grill variety of meats, poultry, sausage, seafood, and vegetables. * Oil free cooking brings out the natural flavor of food. We, Guangdong Kangye Electric Appliance Company located in Shunde District, which is known as the kingdom of household appliance. Kangye started in 1989 has different factories for electric home appliance such as convection oven, electric grill, dehydrator, toaster oven, fish roaster and steamer. We are with workshops covering a total area of 45000 square meters. There are plenty of advanced hardware punch equipments and assembly lines. We strictly implement ISO9001:2008 quality management system and got CB/CE/GS/ETL/SAA/RoHs/LFGB approval. We take "people orientation" as our management principle and pay much attention to new products development with a powerful and experienced team for home appliance. "Try our best to satisfy our clients" is our quality guideline, create high quality products and high grade service is our target. We always provide high quality products with the most reasonable price according to customers' different requirements. We take "Quality and service creates value" as out concept and concentrate on product researching and increasing out markets overseas. Let us express out warm welcome to the friends and my best wishes to our cooperation and mutual development!